Grace Mitchell for the Win! Did he just bring up Girls Aloud? The almighty GA?! Oh, hell to the nizzo. It is an absolute tragedy that Girls Aloud is no longer with us because I believe they had so much more to give (how could “Beautiful ‘Cause You Love Me CANNOT be the last single EVER) but imagining what they would sound like these days is a bit painful and slightly unnecessary. The thing is…Peter Robinson was DEAD ON. I can hear where Nicola would shine (everywhere, basically), I know where they’d stick Nadine (on the ‘mic-1-2 check’ warble in the beginning). Cheryl and Sarah would tag-team the first verse, Nadine would slide back in for the actual chorus, Nicola returns for the second verse and Kimberly would oddly enough get the Fergie-esque rap. Conclusion? “JITTER” IS SO BREATHTAKING THAT I NEED AN INHALER. Raceday as a whole is close to flawless and represents everything Tove Styrke was meant to be. “Bae (ft. Spri Nori)” makes you drop your head back and softly growl “Fuuuuuck, yes!!! 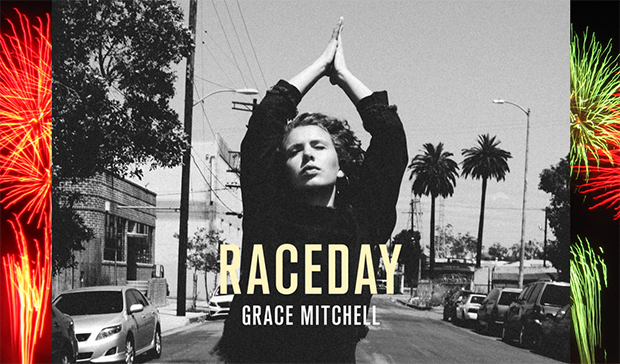 !” with its slight resemblance to Icona Pop’s “Sun Goes Down.” “Raceday” has an unexpected amount of soul and calls to mind Jessie Ware. “Breaking Hearts” is all Charli XCX while “NoLo” is a bit of a chucker. No matter. Go ahead and call up that one friend we all have (sorry, mom) so you can score some Xanax. You’re gonna need it in order to calm down after listening to this EP. Can we just get back to “Jitter” for a hot second, though? There is actually not one wrong thing with this track…besides the fact that it’s not Girls Aloud. Luckily, we’ll always have the 5 albums, 23 singles and countless moments they slipped under the proverbial Christmas tree year after year.